The Welding Specialist program, available at the Houston Campus only, prepares a graduate for entry level positions in structural, pipe and pipeline, and thin alloy welding. Key welding processes include SMAW (stick), GMAW/FCAW (MIG/Fluxcore), and GTAW (TIG) welding procedures. Students learn welding safety, torch cutting processes, proper arc welding equipment setup, important welding control techniques, fundamental welding processes, and basic welding metallurgy. This intense program is primarily lab based and focuses on developing critical welding skills. Upon successful completion of this program, the graduate will receive a diploma and should possess the skills and knowledge to test for welder certification through the American Welding Society (AWS). As potential employees, students should be able to successfully perform essential tasks expected from a certified welder, with minimal supervision. With field experience, it is expected that students’ welding production rates will increase to meet industry standards. The Welding Specialist with Pipefitting program prepares a graduate for entry level positions in structural, pipe and pipeline, and thin alloy welding, as well as for entry-level positions in pipefitting and steam fitting. In addition to the key welding processes learned in the Welding Specialist program, students also learn basic and advanced pipefitting skills. Upon successful completion of this program, the graduate will receive a diploma and should possess the skills and knowledge to test for welder certification through the American Welding Society (AWS). Graduates should also be able to successfully perform essential tasks expected from a certified welder, with minimal supervision. Accredited School, ACCSC. 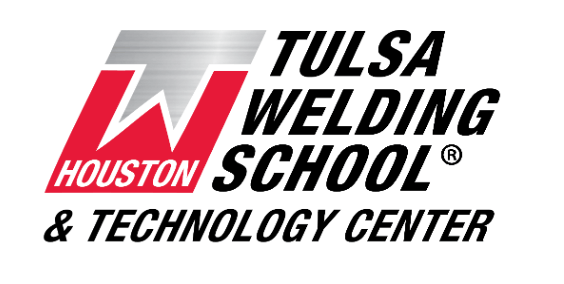 Tulsa Welding School & Technology Center (TWSTC) is a branch campus of Tulsa Welding School, located at 2545 E. 11th St., Tulsa, OK 74104. Approved by TWC. For more information about the graduation rates, the median debt of students who complete their programs, and other important information, please visit our website at: http://www.weldingschool.com/student-resources/regulatory-information/.